Save on Thighs at Smokey Robinson Foods. Top brands include Rastelli Market Fresh, Personal Gourmet, Greensbury Market, & Tyson. Hurry! Limited time offers. Offers valid only while supplies last. 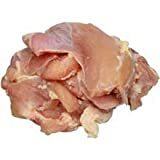 Tyson Boneless/Skinless Jumbo Chicken Thigh, 10 Pound -- 4 per case.